Fan Forum > Archived Forums > Lost > AAA/Eko #4: Because he did bad things, but he's a good man who had to do what he had to for survival. 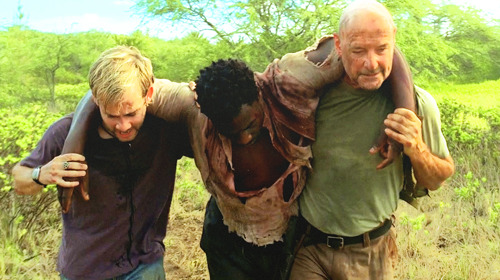 Locke and Eko were my two favourites Oh and Ben. Eko had the best SL IMO. I agreed, I love how unique his storyline actually is. I love the history and how powerful and non-affected he was... well not really afraid of much because of everything he had to overcome. I love watching him break down when he found his brothers body So powerful. That was sad, he really loved his brother. Even when they were younger, he saved him... from himself so for him to lose his brother was sad. His journey is just interesting. He goes from priest, drug dealer and criminal to the Island where it seems [at first] he's non-talkative, just something you don't see too often. He almost reverts back to a priest on the island, he's come full circle. That's pretty awesome right? what a journey he had. He had a journey that could be for three lifetimes. It makes things simple for me. I'll think that way too!